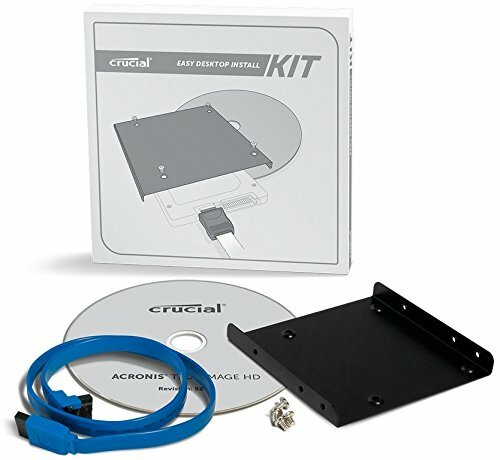 Crucial Easy Desktop Install Kit for 2.5-inch SSD. The Crucial Easy Desktop Install Kit for SSDs provides all the equipment you'll need to install a new Crucial SSD and transfer data from your existing hard drive to your new SSD. Includes adapter bracket, screws, SATA cable, and data transfer software.